Growth mindset has totally changed the trajectory of my classroom over the last 2 years. It has truly been a mind shift for myself and my students and I've fallen in love with the concept! 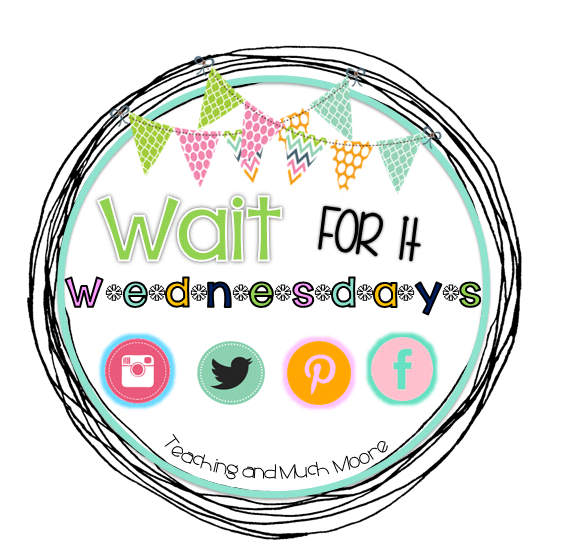 I'm here to talk to you all things Growth Mindset. 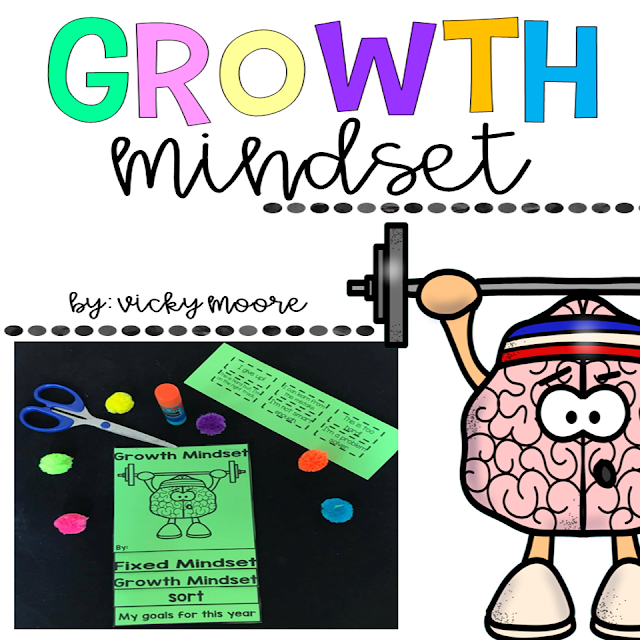 I know I've shared some growth mindset posts in the past that had products I've made that were helpful but I want to talk to you about implementing it. You can implement it at any point in the year but I will say starting at the beginning of the year is helpful. It truly can become the culture of your classroom if you do it right. We all want a safe, fun, engaging, family type climate to our classroom right?!?! Well, I'm gonna tell you growth mindset can definitely help you get there. It will take some buy in from your students - I'm guessing you have already bought in so it will be easier to sell your students on it. When your students hear you using growth mindset 'talk' they will follow suit. They will see that it is the norm of your classroom and expected and you will see them start to use it with their peers. It's such fun to watch! As you work through math, etc as the teacher do 'think alouds'. Kinda like you would in a read aloud. But, say things out loud to yourself like, " I haven't done a math problem like this in years...but I know if I work though it then it will all come back to me." "I've got this!" I do this all.the.time guys! Your students will get a kick out of it, but seriously I tell them - we didn't learn math this way so I'm new to this too. This helps you become so much more relate able to them. As you introduce it you definitely need to explain to your students the differences between a fixed and growth mindset so they understand. Maybe they can think of a time in the past when they have experienced both. This would be a great time to have them pair share with a peer and give examples of both so they can have a deeper understanding of it. I heard students say things like, " I had a fixed mindset when I got mad during soccer and had trouble passing." I stormed off the field at the end of practice. Or, I had a growth mindset during piano because I wouldn't go outside and play until I learned the ending to a song I was practicing. I finally got it and felt really proud for not giving up. They start to see it in their lives as they reflect which is awesome! There are several activities you can do to reinforce this, sorts, books to read, etc. But honestly the key to having a successful growth mindset in your classroom is revisiting it all day long and making it a natural part of your dialogue. Anytime you can apply it, bring it up, like I said this helps it become a culture in your classroom. I may mention, " Sydney had a growth mindset moment today during reading, she used her reading strategies and word attack skills to figure out some hard vocabulary words. " Things like this will stick out in the kids minds and they will want to be recognized for the same thing. You will see them persevering without even thinking about it, soon it will become second nature and you won't have to fight a battle with those kids that tend to give up easily. It's honestly magical!!! Once you start to see this happening frequently you can move onto the strategy and feedback stages of growth mindset. Your students need to do more than recognize when they need to use it in their lives, they need to use it in deeper and more meaningful ways as well. These are what I like to call extensions of growth mindset. They need to pull from a variety of strategies when they are struggling or ready to give up. Sometimes they need to see what might be setting them up for failure and address that first. If it's negative self talk, lack of confidence, etc. This is hard for little guys to do but if you teach upper grades/ middle or high this is feasible. Next, they need to work on giving and accepting feedback - positive or negative. Learning to accept criticism and move on and improve from it is key in life. I teach my students that we can learn from constructive criticism and make our lives better. I give them the example of when the principal comes in to observe me. He gives me constructive criticism/feedback and I can improve my teaching practices and be a better teacher for them. I don't get mad or insecure, I learn from it and move on. That is hard for kids but certainly doable! 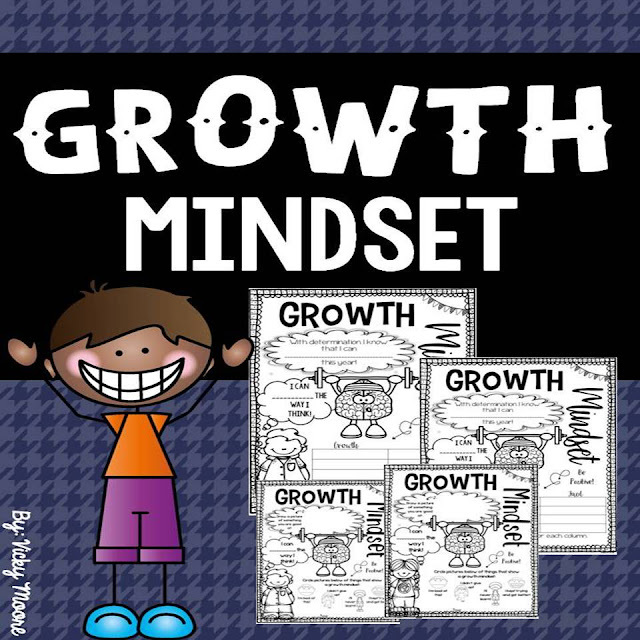 I hope this has helped you realize that you can easily introduce and continue a strong growth mindset presence in your classroom with just a little effort. You got this teachers, message me or visit my instagram and let me know how it goes.